Much to tell from the corridors of London and other places I have managed to visit in the past month! A real highlight was the trip to Belfast to join Northern Irish colleagues at their Annual Meeting. My thanks to Sean McGovern, Vice President of RCEM NI, Zoe Moulton from the College and of course to all the members who were able to attend the meeting. Sean and Zoe did an excellent job as ever of organising and attracting the ‘top table’ from Northern Ireland, with my talk nestled between that of CMO Michael McBride and Richard Pengelly, the Permanent Secretary of the Dept of Health effectively the top health civil servant running the service at present. It was a real honour to represent the College view and also hear about the variety of initiatives to keep the service running at a time of such austerity. As we know financial constraints, wider system failures in primary care and the ever increasing workforce challenge affecting all our systems continue to stretch us. It was a pleasure to share views and we hope to continue working with Michael and Richard in coming months to find a good way forward in NI. The last few weeks have indeed brought some improvement in system performance in the other devolved countries as well as England. A small chance to catch our breaths and look at ways to focus on some sensible medium term planning. I know talking to colleagues like Gerry McCarthy in the Irish Association of EM (IAEM) that the frustrations in the Republic of Ireland have however not abated one little bit. Scotland continues to perform the best due to the hard work of colleagues there and the wise investment across key aspects of the system – a fact not lost on some key politicians south of the border! In England we seem to be making some slow progress on a number of fronts. NHS England & NHSI Improvement (the key system regulator) have appreciated that there is not enough money for social care, that there are not enough acute care beds, that the importance of the integrated front door of ED is vital and that workforce planning has been woeful for too long. Hammering at the doors of power, making people listen properly and finding avenues by which we can collaborate is of course a major part of my job but which can indeed be perceived to be a little too England-centric at times. For instance, the last few weeks have been an intense period of discussion with all the key players in these organisations as well as Secretary of State Jeremy Hunt’s advisors to find some tangible solutions. As I write this, tomorrow I have the pleasure of attending a small Dinner at No10 Downing Street with the PM’s Chief Advisors to discuss a range of these issues – Gordon Miles tells me that is a first for us as a College. We have also begun to do some excellent work with the Care Quality Commission in England who are keen to align their evaluation frameworks better with the expertise of the College. The good news is that I sense we are actually making some good progress on many fronts which is frustratingly slow but that may be my own impatience. You will also I hope follow much of our ‘reactive’ as well as ‘proactive’ news via the College website on the homepage – I warmly recommend that to you (if you are not a Twitter fan!). Coming back to the perceptions of being England centric, I am hugely grateful therefore to have the support of the Vice Presidents in each of the devolved countries and the close links with the IAEM. It has been a real pleasure to invite the devolved nation VPs onto the Executive at the beginning of my presidency and we hope this approach amongst others will add to bringing combined strength and expertise to the work of the College. I have been keen that all that we develop and produce as a College can be best tailored and applied to colleagues all over the UK & Ireland. Equally exciting are some of the international initiatives we are developing with our colleagues who have more international portfolios and I hope to describe these for you in future Presidential blogs. In other news, I am delighted to tell you about some recent appointments that relate to Emergency Medicine. I was very pleased to be on the interview panel in helping to appoint Chris Moulton and Clifford Mann onto Lord Carter’s new ‘Get It Right First Time – GIRFT’ programme which aims to produce greater efficiency, effectiveness and minimize variation across 24 specialties in the NHS. I cannot think of two more capable people to help with this important project. Equally exciting is a real legacy project in our 50th year as a specialty with the launch of the RCEM Foundation. The Foundation will act as a powerful platform from which to gather charitable funds for research, teaching and training opportunities both at home and internationally in developing countries. Again I was absolutely delighted to Chair an interview panel that appointed John Heyworth, renowned past President, to be the first Chair of the Foundation. We look forward to much exciting news as the Foundation evolves and grows. As ever, space is now running out. An important mention for the Golden Jubilee celebrations of the specialty. The Organising Committee is now in full swing and there are a host of exciting ways in which we are intending to celebrate and showcase who we are and where we have come from. I am grateful to the many people involved in helping Diana Hulbert and myself to make this a truly memorable year! If you were lucky enough to get a ticket to the Spring CPD Conference in London – I can say well done and we hope you enjoyed your time! If you want to make sure you are able to attend the Autumn RCEM Conference in Liverpool where we will be also announcing the inaugural RCEM Annual Awards – top tip is….book it now with an early bird registration! I am a ER doctor working in U.A.E . I’m writing this to inform you that I’m very much in a state of depression at present from which I’m not being able to come out. I would like to jot down my story , I feel today or tomorrow I’ll be with the NHS working with the expert and highly qualified and experienced team of ER consultants. 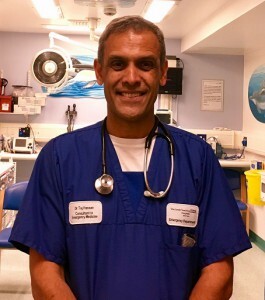 I am an Indian Doctor working in U.A.E and I’ve worked in ED for last 10 years, not from a very well to do family back home in India .NO formal organised training or residency in EM , Its all my interest and desire to be an EM physician with a UK degree that had led me to take up the decision to check the websites where I can pursue a career in EMERGENCY MEDICINE. Back in 2014 , I decided to get some formal training in EMERGENCY MEDICINE from THE PRESTIGIOUS ROYAL COLLEGE OF EMERGENCY MEDICINE, UK. I had passed MRCEM PART A in June 2014. I sat for the PART B, MCEM examination in Oct 2015( previous format) which I did not pass.I started to take several classes and workshops and courses for the FRCEM NTERMEDIATE SAQ , both classroom and online and started spending whole lot of money behind that. Then I attempted the new type of the MRCEM INTERMEDATE exam in Sept 2016 in London,where I fell short by more than 20 marks to pass, I really had acute crisis of time that time. Till here I made myself understand that I still had to work a lot to pass. I felt good after writing the paper that I did well and I should pass. The results came out after delay of 1 week and to my biggest surprise I did not pass again, obviously , it was extreme disappointment and I felt suicidal. I had locked myself for 2 days and did not come out.But again with time I understood that I’ve to work more on it. Once I thought , shall I ask for a review? but, after reading the terms and conditions I felt I cannot. Then what I found was the biggest tragedy of my life probably…. Pass mark 104 , I got 103.5……..I was completely shocked and I collapsed and I confined myself and thought that probably this is not going to happen with me EVER and I FELT SUICIDAL and I am right now since then in a state of panic that I probably can never pass , and that it’s an end to my dream. Then I discussed with some of my seniors and few ER consultants here, who had previously worked under NHS, for some mental support , and I had also sent a mail to the examinations manager if anything can be done or the paper can be remarked……Initial response was that , it will take time to respond and then I was clearly told after 10 days that the paper cannot be remarked. Now , you might be thinking that why am I writing this to you, when, I’m already declared as a FAIL by 0.5 marks which is 0.27%……..! !…..I AM IN A REAL STATE OF DEPRESSION FROM WHICH I AM NOT BEING ABLE TO COME OUT ……ITS HAUNTING ME EVERY MOMENT…….I THINK I CAN NEVER PASS IT….ITS HARD TO DIGEST FOR A NON TRAINEE CANDIDATE ..FOR WHOM BOTH TIME , MONEY, LEAVE AND ABOVE ALL LACK OF FORMAL TRAINING AND GUIDANCE COUNTS………I’M WRITING YOU THIS BECAUSE I’M REALLY CONFUSED AFTER GETTING THE FEED BACK LETTER ……..ONE SIMPLE QUESTION WAS – DC CARDIOVERSION JOULES FOR ATRIAL FLUTTER AND SVT – ANSWER I WROTE 70-120 JOULES. ANSWER I WROTE 120- 150 JOULES……I thought I am right as per the ALS guidelines but in the feed back letter I found I was awarded only 0.5/3 mark for this……..SO I’M WORRIED THAT I HAVE NO OTHER ANSWERS TO WRITE FOR THIS QUESTION IF IT COMES AGAIN IN FUTURE …….so,I’m in a absolute state of confusion and depression what to do now. ONCE I THOUGHT PROBABLY I WOUND BE CONSIDERED AND AWARDED 0.5 MARK AS GRACE TO PASS WHEN I SAW THAT THERE WAS NO STRAIGHT FORWARD NO TO MY FIRST APPEAL ……THEN AFTER DAYS WHEN IT WAS STRAIGHT FORWARD REJECTED I FELT SO MUCH DEPRESSED THAT I DID NOT REPLY TO EMAIL ALSO AND I AM EXTREME DEPRESSION SINCE THEN….. PERSONALLY I DON’T HAVE ANY DISRESPECT TO ANY OF THE EXAMINERS OR THE WHOLE EXAMINATION SYSTEM …….BUT, I JUST WANTED TO EXPLAIN MY MENTAL STATUS AND THAT TO MY FURTHER CONFUSION ON RIGHT ANSWER KEYS WHERE I MIGHT MAKE THE SAME ANSWER , BUT I’LL GET NO MARKS FOR IT. SORRY FOR WRITING SUCH A LONG MAIL HERE……..I HAD NO OTHER PLACE TO WRITE THIS….. Thanks for getting in touch. We appreciate that it’s very upsetting to have failed an exam so narrowly when one is investing so much in obtaining the qualification. Each mark awarded for the FRCEM Intermediate SAQ is reviewed by two examiners to ensure fair, consistent and accurate marking. As part of the quality assurance process prior to the release of examination results, the College checks the marksheets of all candidates that narrowly failed the examination to ensure there have been no administrative errors in the processing of the results. We will email you shortly with a response to your individual case, along with details of our appeals procedure. Training – where we are?